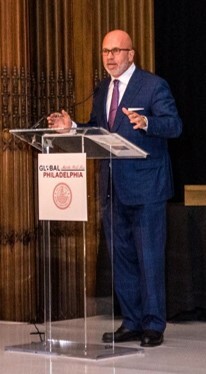 On September 13 2018, Solidarity Day of the World Heritage Cities, Global Philadelphia Association (GPA) hosted its third annual World Heritage City Celebration at the Crystal Tea Ballroom in Center City Philadelphia. More than 500 guests attended, representing GPA members from more than 200 organizations, as well as our many global partners throughout the region. Live performances during the event entertained guests, which included dancers from the Philadelphia Argentine Tango School and the Philadelphia Suns Lion Dance troupe, music from Caribbean and Latin music band, Raices Boricuas, and a drums, percussion, and didgeridoo performance by Text Rich and Lava. All together, the gala reflected an impressive global atmosphere. Guests at the dinner were also introduced to author and photographer, Dave Lakatos, and his new photo book, "The Cultural Fabric of Philadelphia," which offers a photographic perspective of Philadelphia’s vibrant immigrant communities. 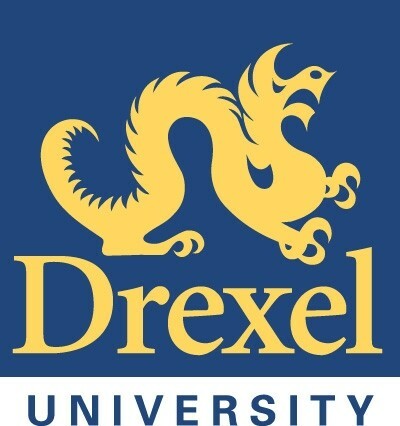 Attendees were welcomed by GPA Executive Director Zabeth Teelucksingh, followed by greetings from the evening's celebration co-chairs, John Fry, president, Drexel University, and Dianne Semingson, president, DLS International. Other speakers included Sheila Hess, representing the City of Philadelphia, who recognized our visiting international World Heritage City guests; Secretary General Denis Recard, Organization of World Heritage Cities (OWHC), who offered remarks on behalf of the over 280 OWHC member cities around the world; and, John F. Smith, III, GPA board chair, who provided a comprehensive update on the World Heritage City project. Among our global visitors were Israel Nitzan, Deputy Consul General of the Consulate General of Israel; Michael Alexander, Director of Regional Affairs, for the Consulate General of Israel; Dr. Manuel Monteiro de Pina, Mayor of Cidade Velha, Cape Verde; Mrs. Palma Costi, Councillor and Minister for Economic Development, from Regione Emilia-Romagna, and Mr. Ruben Sacerdoti, General Manager of Internationalization and Foreign Direct Investment, Ministry of Economic Development, also from Regione Emilia-Romagna. In coordination with the the launch of GPA's new Spanish-language edition of the Philadelphia World Heritage Coloring Book, guests were given a dinner activity to color postcards and write in a family member's or friend's address, who would receive the promotional card in the mail. Michael Smerconish, SiriusXM and CNN host, was presented with the Distinguished Journalism Award and delivered the evening's keynote address. 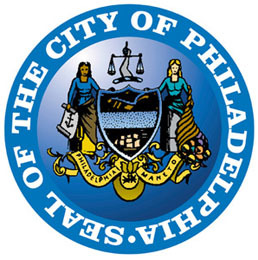 Smerconish spoke broadly about his longtime connection to Philadelphia and his exploration to understand our World Heritage and world-class city through his various writings. Thank you to all who attended and supported our event! Save the date for the 2019 World Heritage Celebration on September 5, 2019. Karen and Robert J. McNeill, Jr.